[NEWS] BTOB to debut at Japan this July at “K-Dream Live”! 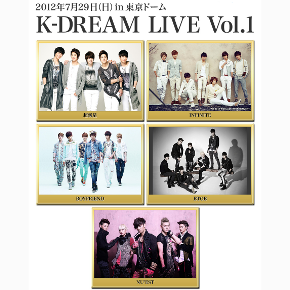 Various different Korean groups were recently added to the line-up of Japan’s “K-DREAM LIVE” concert. Though it is the first year the concert will be taking place, the organization managed to get a list of five boy groups confirmed, with more groups still to be added. With Supernova, who will soon celebrate the 3rd anniversary of their Japanese debut, Infinite, Boyfriend and rookie groups BTOB and NU’EST, the line-up already has a big variety of stars. The event will take place on July 29th, in the Tokyo Dome. It’ll start at 6PM, but doors will be open two hours earlier, at 4PM. Artists participating in the event are subject to be changed by the organization.